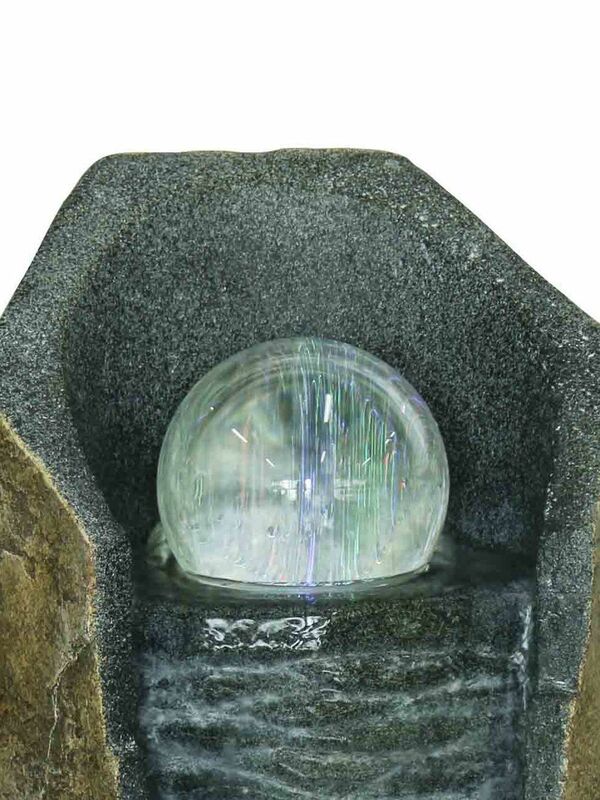 Causeway Stone Crystal Ball by Aqua Creations, Is a must have for any given space. 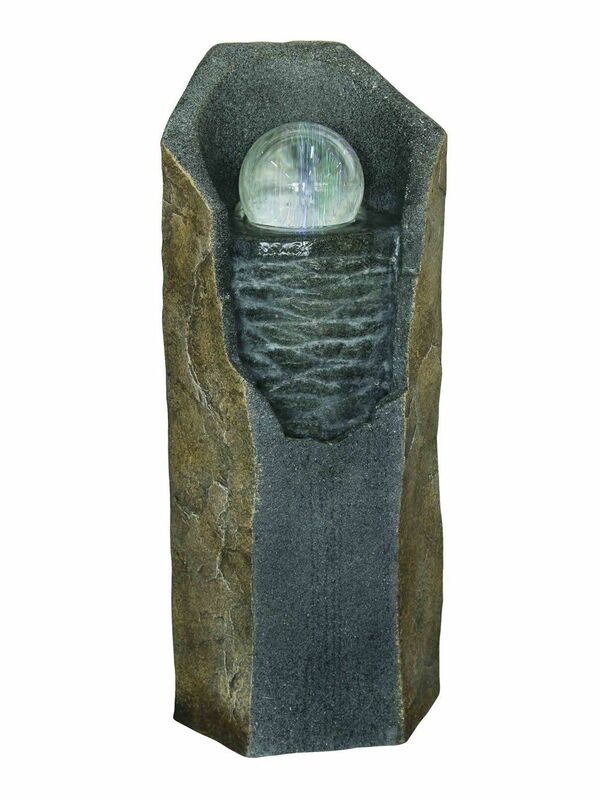 This striking water feature allows the water to bubble at the bottom of the crystal ball which then allows the ball to rotate and cascade the water through the rippled column which then recycles the water throughout. The striking feature also has a LED light which then gives the feature that extra wow factor, making it a must have for any given customer.